Lee's music is individual and compelling, a product of his tenacity in holding to his own creative vision. A composer with a compelling voice of his generation. ​Paul's music envelops a profusion of human emotions; from the most sublime and tender of feelings to the extreme levels of force and power. He truly has a gift of expression. 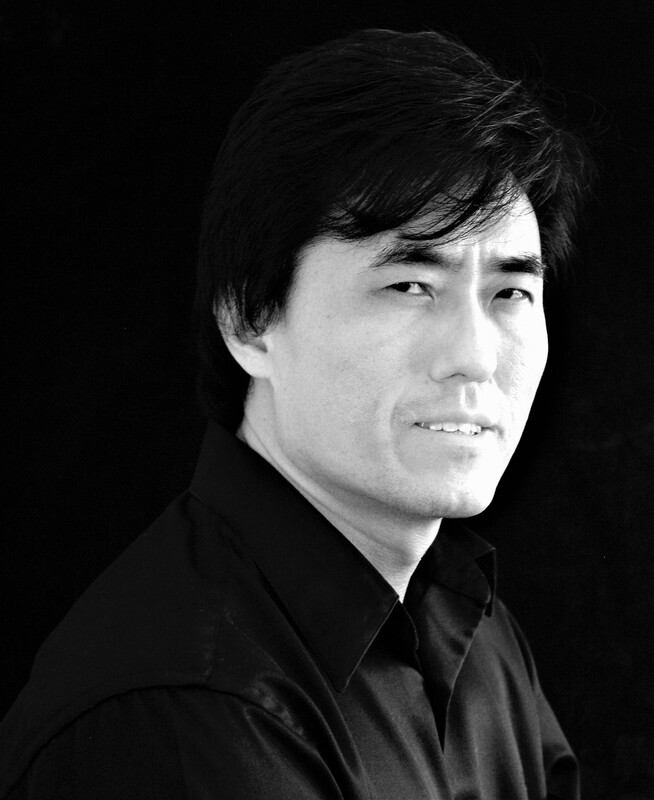 PAUL YEON LEE, South Korean-American composer, has been named one of the "25 Contemporary Composers Helping to Push String Music to New Heights" by the international Strings Magazine in the 25th Anniversary Issue (March 2012). The critics have praised Lee’s music that "… stormed the heavens with sweeping melodic gestures, romantic yearning" (The Washington Post), "… put an emphasis on shimmering, shivering effects" (The New York Times), "… deserves many more performances… It’s a perfect example of how lyrical and richly textured a modern work can be" (Strings Magazine), "... mystical atmosphere" (Fanfare Magazine), "… stunning coloristic effects" (San Francisco Classical Voice), "… scintillating piece... deserves critical attention and establishes Lee as a composer to watch" (Times Herald-Record), "... pounding rhythms, bold colors and dissonant effects" (Courier-Post), "... Lee obviously has an imaginative streak when it comes to combining the emanations from various percussions. The music showed inventiveness and knowledge of the instruments” (The Herald-Times), and "... showstopper... A towering, often ferocious work… genuine… Lee is keeping an old flame very, very alive while fueling it with something that could only have been invented in this century." (Lucid Culture). Lee is currently a composer-in-residence with the Korean Symphony Orchestra, the national orchestra in South Korea. Lee's honors and awards include two prestigious awards from the American Academy of Arts and Letters (Charles Ives Scholarship and Walter Hinrichsen Award), composer-in-residence with the Korean Symphony Orchestra, composer-in-residence at Flushing Town Hall, New York City Con Edison Musicians’ Residency: Composition Program, two grants from Korean Cultural Service NY, Fort Worth Symphony Orchestra Composer Workshop, American Composers Orchestra New Music Reading Sessions and Commission Award, Symphony in C Young Composers’ Competition and annual ASCAP Plus Awards. Lee has participated three festivals at American Museum of Natural History in New York: Festival Luna, Experience Korea (Lee was the host, curator, artistic collaborator and composer) and Spotlight Asia: Big Cats. Furthermore, Lee has been a fellow at La Folle Journée de Nantes, International Gugak Workshop at National Gugak Center in Seoul Korea, Composers Now Festival at Symphony Space, SONiC FESTiVAL in New York, Maîtrise de Radio France in Paris, Trail Mix Chamber Concerts, World Music Festival Millennium Park in Chicago, Taranaki International Festival of the Arts in New Zealand, Adam Chamber Music Festival in New Zealand, Cutting Edge Concerts Festival, American Composers Alliance’s Festival of American Music, MacDowell Colony, Atlantic Center for the Arts, SCI National Annual Conference in New York as well as many conferences and festivals in universities and conservatories. Lee has received many commissions including from Korean Symphony Orchestra, American Composers Orchestra, Redwood Symphony, Greater Newburgh Symphony Orchestra, Anthony J. Cirone (former San Francisco Symphony Percussionist and Chair of the Percussion Department at Indiana University Jacobs School of Music), cellist Ian Maksin, Joshua Friedlander (former violinist of the Florida State University New Music Ensemble), Lost Dog New Music Ensemble, Del Sol String Quartet, Duo Sutre-Kim ensemble and Pascal Rogé (Gramophone Award recipient and Decca recording French pianist). Lee's Lost in the Echo for violoncello solo was commissioned and premiered by an ardent cellist Ian Maksin in Chicago in April 2014. Subsequently, Maksin released his new solo "Soul Companion" CD in August 2014, which included Lee's music. In January 2015, Lost in the Echo was chosen to be on the Chicago's radio WFMT's Relevant Tones "Going Solo" program, which featured several top performers including the world famous violinist Anne-Sophie Mutter. Currently, Maksin performs Lee’s music on his concert tours in the United States, Europe and Russia. The music score of Lost in the Echo is published for sale by Edition Peters. Lee’s Echo of a Dream for full orchestra was commissioned and premiered by the American Composers Orchestra on SONiC FESTiVAL in October 2011 at the World Financial Center Winter Garden in New York. After the concert, Echo of a Dream was voted as an audience’s favorite and it was subsequently broadcasted on WQXR radio station "Re: Sound: Second Installment". In fall 2016, Echo of a Dream was included in the SONIC: Sounds of a New Century Double Live Recording Album by American Composers Orchestra and the music was later broadcasted on WWFM radio station "The ACO Experience" program. In 2015, Lee challenged himself and composed a main theme song for the upcoming Korean American Drama Series "The Romance Artist", starring a top model Dae Na and NY theatre actress Esther Nam. Lee's major performances in 2017 were two world premieres by Korean Symphony Orchestra at Seoul Arts Center in Korea (Synergy for Orchestra and Concertino for Piri and Chamber Orchestra) and multiple performances of The Shadow of Arirang by Duo Sutre-Kim ensemble at the prestigious music festival La Folle Journée de Nantes in France. The Shadow of Arirang was commissioned and premiered by Duo Sutre-Kim (Guillaume Sutre, first violinist of Ysaÿe Quartet and his wife harpist Kyunghee Kim-Sutre) at the “Les Grandes Heures de Saint-Emilion” festival in Saint Emilion, France in June 2016. Duo Sutre-Kim recorded The Shadow of Arirang beautifully on "Parfums d'Amour" Duo Sutre-Kim 25th Anniversary CD, which was released in late December 2016. Lee is currently composing two major commissions for Korean Symphony Orchestra, including Concerto for Daegeum and Orchestra. The daegeum soloist will be Yoo Hong and the music will be premiered in the 2018-2019 season. Lee's music has received many performances by soloists and ensembles throughout the United States, Europe and Asia including the world renowned pianist Pascal Rogé and his wife pianist Ami Rogé, gamin, Ian Maksin, Kate Bowling, Christina Jennings, Mary Fukushima-Kirkendoll, Thomas Piercy, Hyemin Kim & Joohae Kim, Duo Sutre-Kim, Speculum Musicae, SongFusion, Contemporary Music Ensemble at Mannes College of Music, Del Sol String Quartet, Florida State University New Music Ensemble, Ne(x)tworks Ensemble, Indiana University Jacobs School of Music Percussion Ensemble, Erato Chamber Orchestra, Indiana University Jacobs School of Music Chamber Orchestra, Wayne State University Orchestra, University of Michigan Symphony Orchestra, University of Michigan Philharmonia Orchestra, Symphony in C, Redwood Symphony, Quincy Symphony Orchestra, Dearborn Symphony, Greater Newburgh Symphony Orchestra, Fort Worth Symphony Orchestra, American Composers Orchestra and Korean Symphony Orchestra. Lee’s music has been performed at Carnegie Hall, Seoul Arts Center, La Folle Journée de Nantes, Symphony Space, Flushing Town Hall, World Financial Center in New York, Korean Cultural Service of New York, Korea Society in New York, LaGuardia Performing Arts Center, Tenri Cultural Institute, Smithsonian National Museum, American Museum of Natural History, National Opera America Center, Cornelia Street Café, (Le) Poisson Rouge, Chicago Cultural Center, Temple Passy in Paris and numerous universities and conservatories. As an arranger, Lee has collaborated with Pascal Rogé and Ami Rogé on Francis Poulenc’s music L’histoire de Babar. Lee was commissioned by Pascal Rogé to transcribe the music for piano four hands and narrator. Pascal and Ami Rogé have premiered Lee's transcription in London, England in 1997 and they have continued to perform it in Italy, France, Japan, United States, Australia and other countries. They plan to record it in future. The music score of new arrangement is published for sale by Chester Edition in London. In 2011, Lee has assisted a jazz singer Lisa Kirchner on her album "Something To Sing About". Lee has transposed several songs including In Autumn by Charles Ives, Fort Tryon Park by John Corigliano, Suicide in C Minor by William Schimmel, Early in the Morning by Ned Rorem, Lelia's Song by John Adams, Acrostic Song by David Del Tredici, Strange by John Harbison, Night Make My Day by William Bolcom, Under the Willow Tree by Samuel Barber, The Little Horses and Long Time Ago by Aaron Copland. A member of ASCAP, Lee holds a bachelor’s degree from San José State University, and master’s and doctorate degree from the University of Michigan in Ann Arbor. In addition to his principal teachers Leslie Bassett, Bright Sheng, William Bolcom, Pablo Furman and Allen Strange, Lee has participated in master classes with George Crumb, Andrew Imbrie, Mario Davidovsky and David Del Tredici. Lee has been active as a music consultant for American Museum of Natural History and currently teaches at SUNY Westchester Community College. His music is published by Theodore Presser Company, Edition Peters and Chester Music.